Understated elegance and streamlined simplicity are the hallmarks of the Bernadette vanity stool. 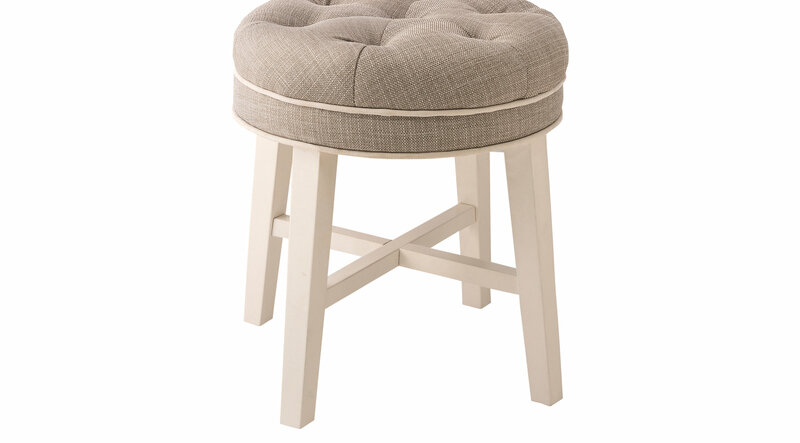 It features a tufted design with piping details, and a rounded gray seat cushion. Constructed of wood in a white finish, its ads a subtle feminine touch wherever it's placed.